This is very important to know that “What is SEO” and what role it plays to rank your site in search engine. I have read about SEO functions details in several articles and provide here 10 best free SEO checker tools for blogger site for best ranking in SERP. The fact, which I found, this is important for the site owner to know about the SEO. It is not the tools to use after completion of the site and posting the content. The site owner will have attention when starting to choose the site name. The right name with the keyword will attract targeted visitors as well as improve traffic day by day. A decent traffic receive by site from Search Engine can improve possibilities to make money online. Best SEO practice helps you to write the more searches engine optimized article and get the best ranking in Google Search Engine. The number of persons told that adopt SEO practices are harmful to the site. But I would like to confirm that “White Hat SEO” practices are best for site traffic. You can start blogging online with follow up of white hat SEO. If you make the site according to the search engine terms and condition then definitely will get organic traffic. Organic traffic means, traffic - which is relevant to the article and attracts visitor for content. This type of traffic conversion ratio is very high. Keyword placement between the content is also a part of the guideline. Keyword helps search engine to understand what keyword your blog should rank for? When you come to optimize the website, two factors are important. First On-page Optimization and second is off page optimization. SEO OnPage optimization techniques For Blogger. Link your site post to each other as per content. Ensure the reader to get the solution from content and do not distract or go to other sites. Write long content with the best quality to improve search engine ranking. Focus on headline H1, H2, H3, H4, H5, and H6. Length of title characters should not exceed from 60 characters with spaces. Don’t repeat H2, H3 tag too many times. Use the targeted keyword phrase in the title tag. The keyword should be low in competition and high in search volume. Set your post permalink structure user-friendly. Avoid adding symbols, comma’s, bracket etc. Keep keyword density up to 1.5%. Use Meta Tag description with the length of 160 characters only for better Click Through Rate (CTR). Image optimization for SEO is important. Write words in the caption as well as set image alt text in properties option. If you do not fix it before publishing the post, it will reflect as an error in the Bing search engine SEO checker. Use the GIF file to upload the picture instead of JPG. GIF file is short from JPG and takes less time to open. That will help to maintain the speed of a site. These SEO tips make your site search engine friendly and will help to get higher ranking in search engine. 10 Best Free SEO Tools For Website Checkup. SEO Analyzer – This is an online SEO checker. Good in all respect and provide all details category wise for site improvement. The site owner can check SEO, Meta Tag, Keyword Position, Page Speed of Site, Mobile friendly analysis, Keyword density and suggestion, Social link popularity and Page Rank. These tools correction guidelines improve your page content and increase search engine ranking. SEO Site Checkup – This is basically paid service. But the first time you can get free site analysis and correction details. This site checkup tool is very useful for Small Business Owners. The guideline is very easy for the site owner to make is site SEO friendly. They are providing the analysis team and tools to know the exact position and see where the search engine may interpret the site. SEO WebpageAnalyzer - Free version online tools to analyze page in a single click. These tools assess the quality of pages, quality of content for the search engine. Improvement part will reflect in Red and pass in Green. Site owner easily assesses the improvement part of the site. You can download free Apps to assess your site anywhere. Neil Patel SEOAnalyzer – Neil Patel is the big blogger, so definitely tools will be helpful for the new blogger. Basically, I used this tool for Site Analyzing and correct most of the part as per guideline. This is free SEO checker tools. It is best to make the site to earn money online and helpful for small marketing. Go with Neil Patel Blog for more knowledge and tips. SmallSEO Tools – This tools checker monitor your site scores easily. Tools provide every improvement points to get ranking in search engine. Capture the right audience to uplift business online. Small SEO Tools is the best free website SEO checker. SEO RCH Analyzer – SEO RCH help to get 4 most important OnPage SEO factors. Like - Title, Meta Tag, Content Text Length and Internal Links. Provide information about your site OffPage data – that is link popularity and Wikipedia Backlinks. Define your site presence in Social Media. The best part of this Analyzer is its definition of the dependency of Site Ranking Keywords. Awesome SEO Checker Online is available. SEO Workers – SEO workers analyze your site user experience, analysis the usability of visitors and optimize your site conversion technique for effective conversion online. Tools confirm site run as per guideline of Search Engine and recommend the optimization technique. Zests are – improve search engine visibility and conversion rates. You can get a high ranking of site ethically. Tools will balance the user interaction with the site as well as what search engine required to index and rank content effectively. SEO Checker – This is a comprehensive site analysis tools for a blogger blog. This is free site checking tools. You can get insights into your competitor’s site. This helps to optimize your blog to beat competitors ethically. The best part of this SEO checker to provide Free SEO Tools – Meta tag Generator, Keyword Generator, URL Shortener, Broken Link Checker, SitemapGenerator etc for blogger and site owner. Website SEO Checker – This SEO checker is in a different format. This will helps the quality of the URL. The site owner can avail the facility to check site Domain Authority, Google Index etc. The number of URL position can check in the single click. Best SEO practices are available to defeat your competitors. Moz.com – Best SEO checker site with available tools. MOZ Blog content on SEO provides depth knowledge and clear all concept of site configuration. Question and answer system is clear all doubt of blogger. Webinars can learn SEO Optimization Techniques to start blogging online. This is the famous blog and growing in Alexa Ranking. These 10 SEO checker tools are very effective for your site to rectify those issues, which are important for the optimization of the site. I have checked my site on several tools and try to resolve the issue. Google Search Engine does not follow the Meta description for search engine ranking. Google do not very curious about Image Alt Tag option, but if you will go on other search engines like Bing, it is an important part of SEO Analysis. So, you will have to very careful to fix these issues at the time of publishing the content on site. Length and quality of content are also playing the vital role to rank your site in search engine. Try to write an article more than 1000 words and interlink the content with other posts of the site to work more of robot.txt. At the time of the beginning of my site “todayfirstevent.com”, I was not aware of the blogging tips and keywords placement in the blog. I learned more and more about this on several another top blogger blog like - SaveDelete, Shoutmeloud. These blog tips were marvelous for the optimization of the site and help to get more visitors on site. Basically, SEO correction gives power to your blog to receive more and more traffic on site. This traffic will be organic traffic and Google Search Engine generates this if the site fulfills all criteria of optimization and adopt best SEO practices. 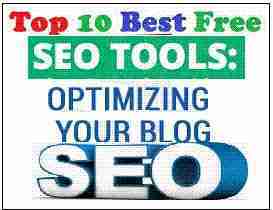 I think this content will be helpful to the new blogger to know about the SEO and can get the suggestion for improvement in the site by above given 10 Best Free SEO Tools For Website. Share your view in below box to improve site content quality. This is one of the most incredible blogs Ive read in a very long time. The amount of information in here is stunning, like you practically wrote the book on the subject about this Shockley Marketing topic. Your blog is great for anyone who wants to understand this subject more. Great stuff; please keep it up!